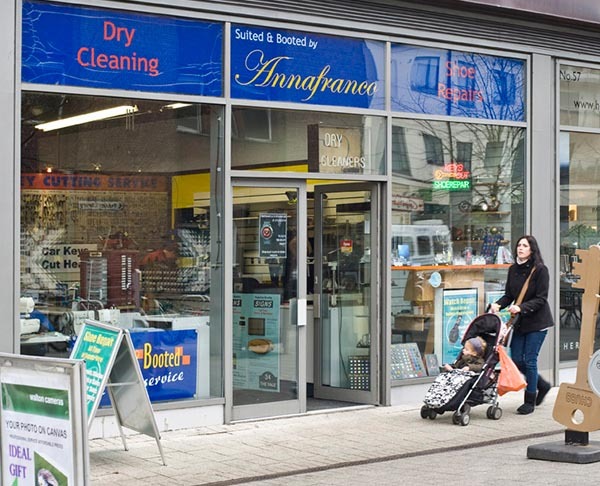 Annafranco has a first class dry-cleaning, laundry and shirt service. We can also offer alterations and repairs, shoe repairs, key-cutting and engraving and we stock many watch accessories. Give our friendly and experienced staff a call to find out how we can help you.